Maenads were mythical women inspired by the god of wine, Dionysos, to abandon their homes and families and roam the mountains and forests, singing and dancing in a state of ecstatic frenzy. This figure, wearing an ivy wreath and carrying a thyrsos (fennel stalk) bedecked with ivy leaves and berries, moves forward, trancelike, her drapery swirling about her. 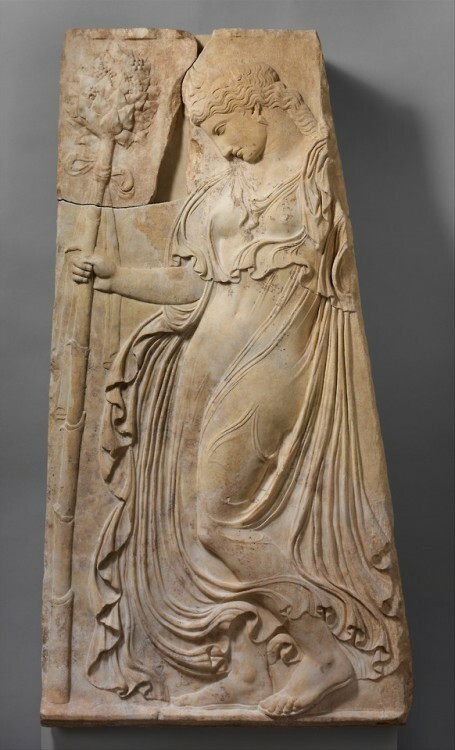 She was copied from a famous relief of dancing maenads dated to the late fifth century B.C., when Euripides portrayed the manic devotées of Dionysos in his play the Bacchae. obrutum tota caput esse terra? buried beneath the whole of earth? 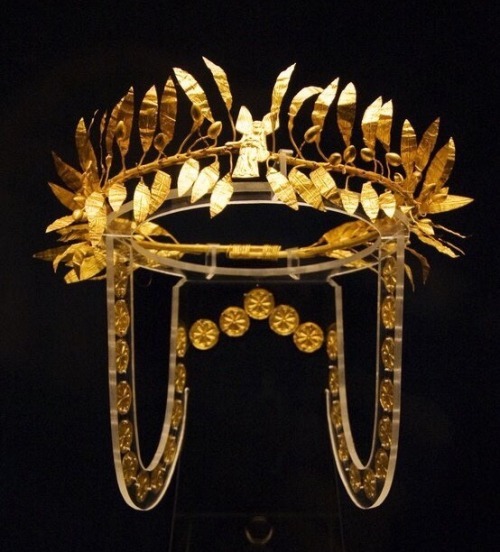 Gold wreath of a Thracian aristocrat (ca. 4th century BCE), from Golyamata Mogila (Bulgaria). 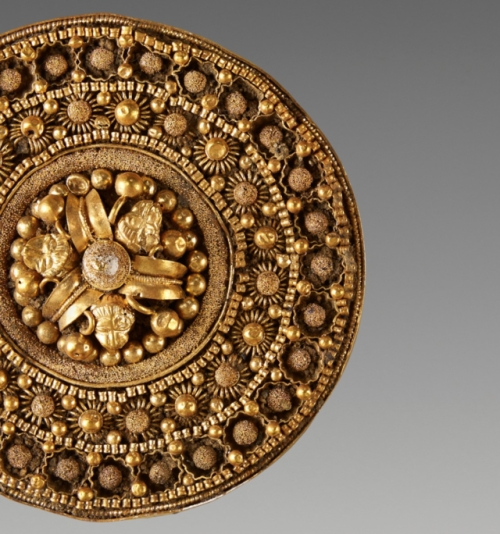 Nubian gold rosette diadem, dating to the reign Talakhamani, of the Napatan period, or 435-431 BCE. Found in the Museum of Fine Arts, Boston. 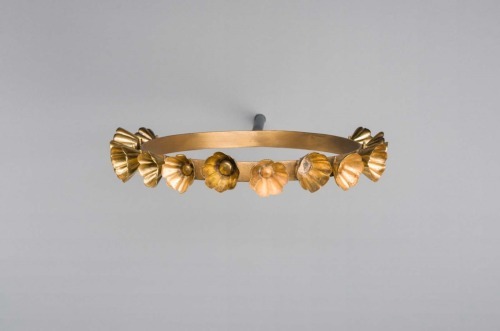 A gold diadem consisting of a twisted rope border with a series of heart shaped scrolls with applied acanthus leaves and flowers with gold wire detail and tear drop shaped settings with blue enamel, flowers recessed for red enamel inlay; central wire motif in the form of a Hercules knot with applied flowers and acanthus leaves with tear drop shaped setting with blue enamel; in the center an amethyst cameo with the bust of a woman wearing a diadem and robes held at the shoulder by a brooch; one small flower element present but detached. 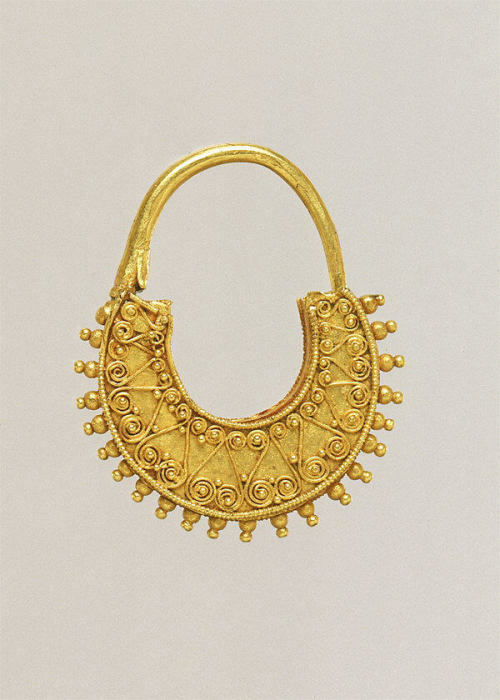 Etruscan disc earrings, a detail. 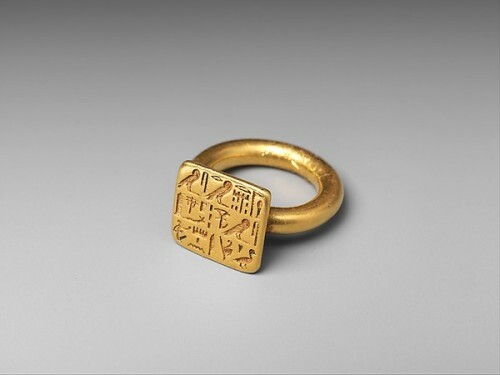 Ancient Egyptian gold ring, dated to the 26th dynasty (664–525 BCE). The ring belonged to Sienamun, a priest. 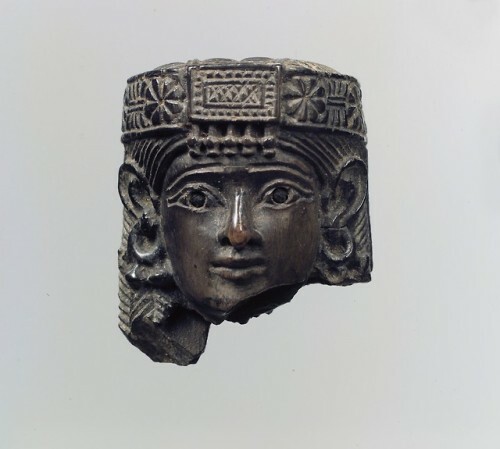 Source: Metropolitan Museum of Art. Nubian necklace with gold pendants of human and ram heads, spaced with carnelian beads. 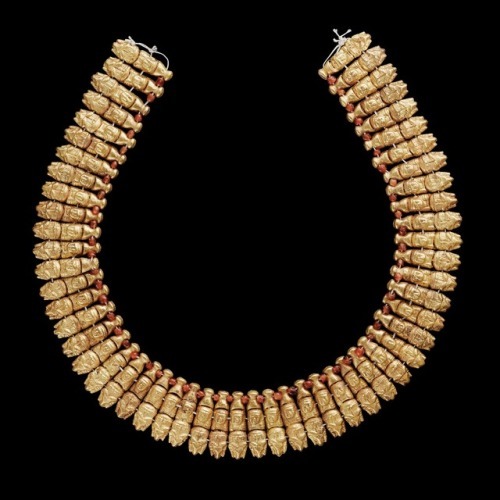 The necklace dates to 270 BCE - 320 CE and is currently located in the Museum of Fine Arts, Boston. Source: Jewelry History.